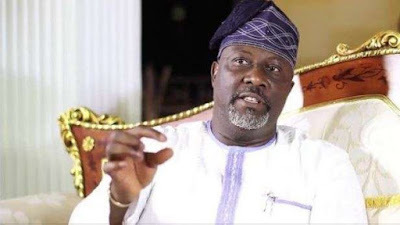 The Lawmaker representing Kogi West in the Senate, Senator Dino Melaye has called on the Acting President Prof. Yemi Osibajo to declare a State of Emergency in Kogi before anarchy becomes the order of the day. This followed the onslaught suffered by the State lawmakers when suspected thugs invaded the Kogi State House of Assembly on Tuesday to disrupt house sitting. Dino Melaye who disclosed in a social media platforms “Chat with the Speaker” condemned in strong terms the attack on the Assembly, most especially the member representing Igalamela Odolu Constituency, Friday Sanni Makama who resumed sitting after his victory at the Kogi State High Court Lokoja challenging his six months suspension from the house for alleged anti legislative activities. He called on stakeholders in the ruling All Progressives Congress (APC) to challenge the anti democratic activities allegedly orchestrated by Governor Yahaya Bello, noting that the Governor should not be allowed to destroy the labour of genuine APC members in Kogi State. According to him “The draconian Idi Amin approach to governance by Yahaya Bello today as displayed by his criminally minded hooligans and hired killers in usurping the legislative powers and priviledges of the Parliament is a clear manifestation of satanism. “The unwarranted attack on Hon. Friday Sani Makama shall not be swept under the carpet. “We are not in a banana republic. It is manifestly clear now that the acting President must declare a state of Emergency in Kogi State before Anarchy becomes Total. “The economic cankerworm and social scavenger called Bello must be tamed before he finishes spending the little political capital left for APC in Kogi. We must not all keep quiet and allow this Stranger destroy the labour of genuine APC members in Kogi. In a swift reaction, the State Governor, Alhaji Yahaya Bello distanced himself from the Assembly attack. Speaking through his Director General, Media and publicity Kingsley Fanwho the Governor maintained that his administration will not condone any act of thuggery, adding that anyone caught would be made to face the full weight of the law. Meanwhile, a Senior Advocate of Nigeria from Kogi State Okutepa (SAN) also shared his view on the invasion of the house by suspected thugs. “I think time has come for all stakeholders of Kogi State to be out against tyrannical and authoritarian acts and actions. “The whimsical and tyrannical misdeamenour of our politicians cut across political parties. Kogi has everything but is lacking everything. “We cannot in the face of available human and material resources continue to Condone the wickedness being visited on our people. “Democracy is not government of adolescent by the adolescent for the adolescent. It is much more than that. It is a form of government that has no room for tyrannical and whimsical warlords masquerading as thugs. “We must come together as a people to liberate ourselves from the current poverty of political and legal ideas,” Okutepa noted.